Watch: This guy built Thor’s hammer IRL, that only he can lift. 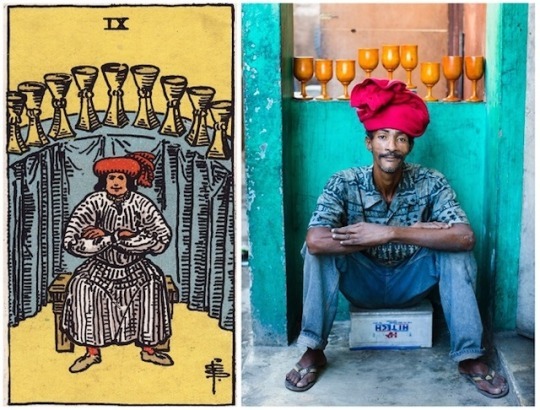 Fateful visions from traditional tarot cards literally come alive in the streets of Haiti in Alice Smeets’ photographic recreation of a full deck, the Ghetto Tarot. 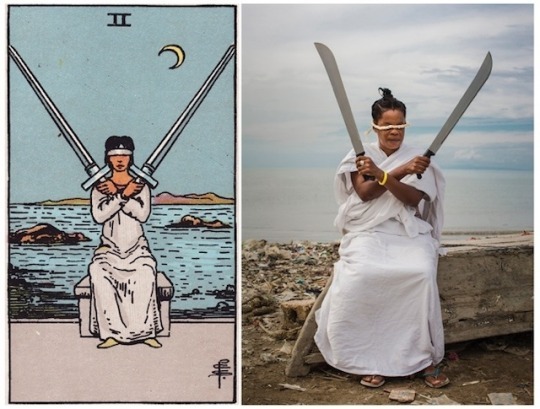 For the photo series, the Belgian photographer collaborated with the Haitian artist corps Atis Rezistans (resistant artists), staging tableaus to reinterpret the early 20th century Rider-Waite tarot deck. To honor the diverse talents of her subjects, Smeets scatters the artists’ work throughout the scenes as props and backgrounds. This publication has been posted on my other blog: b-l-a-c-k-o-r-c-h-i-d (Miss Asphyxia Art). However, I have to do it again on the main blog: ARTENSION, because now, everything is published here. Thank you to make the reblog even if you have already done on b-l-a-c-k-o-r-c-h-i-d. I stick especially to this post, thank you to be interested in it. I am a fan of when a comedian uses his or her platform to not only tell a joke but just speak truth within the context of that joke.